Re: Debian Jessie installer freezes during "Processing triggers for libc-bin"
Subject: Re: Debian Jessie installer freezes during "Processing triggers for libc-bin"
I'm having this issue on a Intel NUC (Intel Atom E3815). Is literally impossible to install Debian 8. - debian-8.3.0-amd64-CD-1.iso (without network connection). step as seen on the debug console (alt+f4). combination. Freezes completely 100% of the times. Tried installing in DOS mode and in UEFI mode. Didn't make any difference. <debian-7.8.0-amd64-netinst.iso> and dist-upgrading after the install. times I tried to install it. 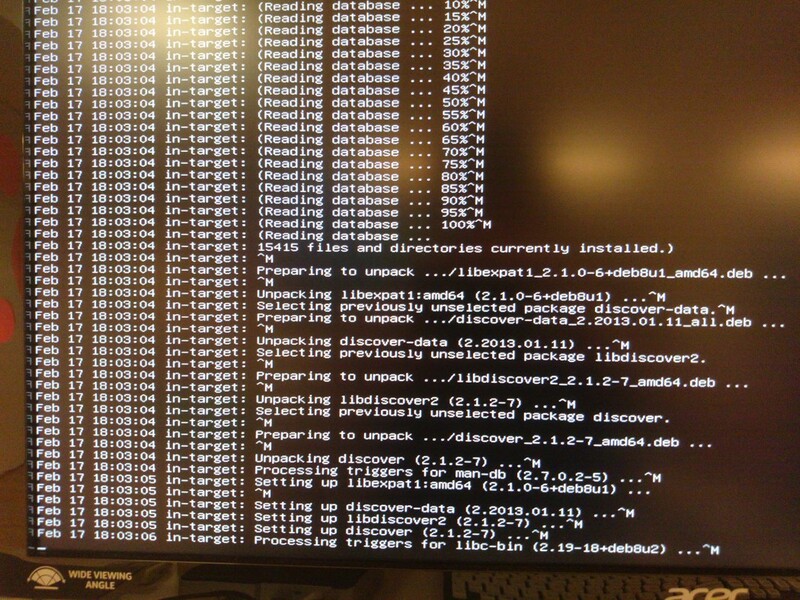 Next by thread: Re: Debian Jessie installer freezes during "Processing triggers for libc-bin"